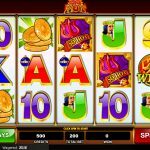 So Hot is a video slot game from Amaya that takes us back to basics. Nowadays most of the games are complex and eye catchy, and they tend to take the game into another direction. So that is why So Hot is concentrated on the simple game play. We have simple graphics and symbols and the main focus is on the game. So Hot is played on 5 reels and 20 pay lines. There are 2 special symbols in this game, the wild and the scatter. 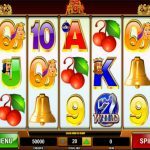 If you play with the highest bet per line you can win the jackpot if you land 5 wilds on an active pay line. The scatter symbol offers scatter payouts as well it activates the main feature, the free spins round. You need to land the scatter symbol on adjacent reels starting from the first reel. For 2 scatters you will receive 5 free spins, for 3 scatters you will receive 10 free spins, for 4 scatters you will receive 20 free spins and for 5 scatters you will receive 60 free spins. All the wins during the free spins will be doubled but the sad news is that the jackpot cannot be won during the feature. So Hot is a very simple yet entertaining game to play. We can say that Amaya Gaming is the proud owner of this game and they did an amazing job. The game play is straightforward and smooth and there are also some special symbols that can boost your balance in no time. Even if you are not playing with the highest bet per line you can still win some good amounts too. We highly advise you to give this game a try because we are sure that you will have an interesting and profitable session as we did. For another great recommendation consider playing Sinful Spins a 5 reel slot by Amaya.